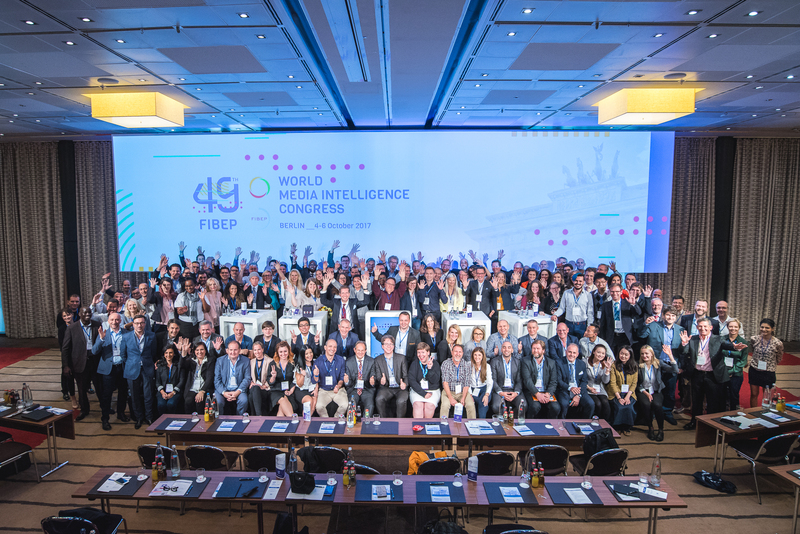 DataScouting participated in the 49th FIBEP World Media Intelligence Congress that was held in Berlin from 4 to 6 October at the Sheraton Grand Hotel Esplanade. The WMI Congress theme was “Media Intelligence and the New Paradigm of Brand Communication”, with over 60 speakers and more than 230 delegates from more than 35 countries around the world. 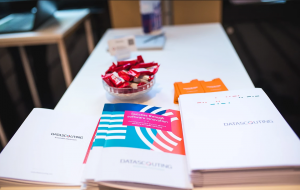 Mrs Sophia Karakeva, CMO and Dr. Stavros Vologiannidis, Assistant Professor, Dpt of Informatics, Technological and Educational Institute of Central Macedonia and Founder of DataScouting attended the Congress. Sophia presented the latest copyrights updates in Europe, while Stavros talked about Chatbots: How AI is changing the way we interact with information. 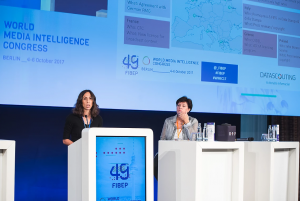 Moreover, Sophia was re-elected for a 2-year term as FIBEP Vice President and is joining the newly elected 8-member Executive Committee with Johna Burke (BurellesLuce, USA) as the new FIBEP President. 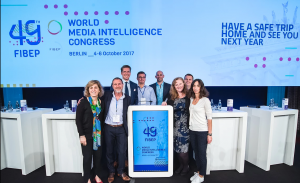 The new Executive Committee members are: Sean Smith (iSentia, Australia/New Zealand), Christophe Dickès (Kantar Media, France), Magdalena Horanska (MCA Grupa/Netwon Media, Adriatic Region/Czech Republic), Oresti Patricios (OrnicoGroup, South Africa), Maria Laura Garcia (Global News Group, Argentina), Christiophe De Clerque (Auxipress, Belgium), Kasper Hülsen (Infomedia, Denmark). 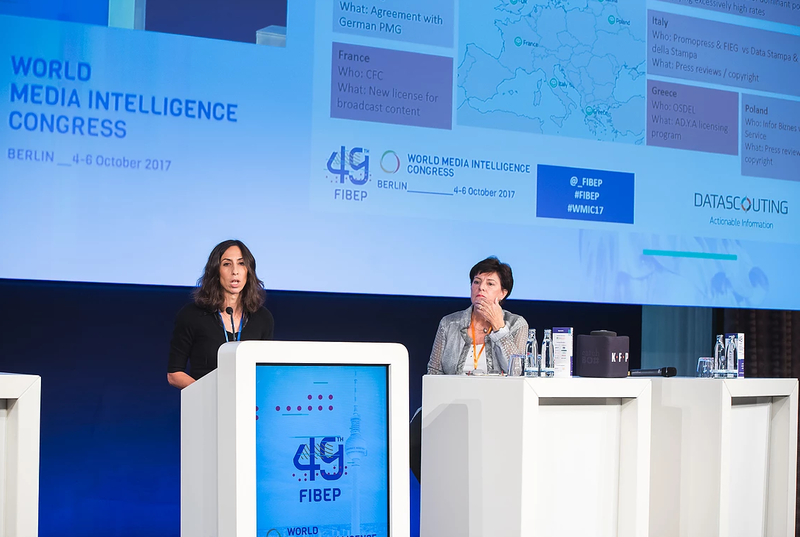 Johna is taking over from Mr Alexis Donot (Argus de la Presse/Cision, France), while Mr Florian Laszlo, CEO of Observer Austria remains the FIBEP Secretary General. 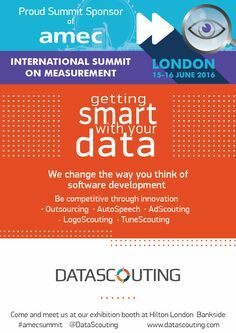 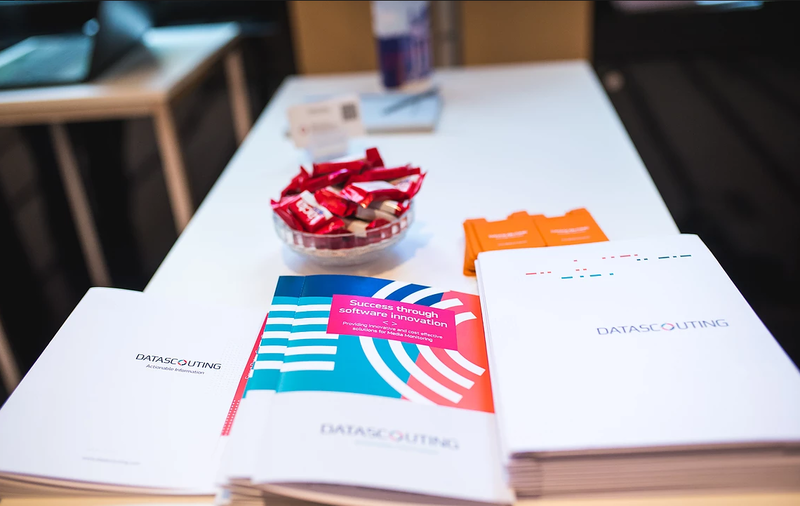 DataScouting was proud to support the WMI Congress in Berlin as a Congress Partner and be able to showcase as an exhibitor its media monitoring software solutions for print and broadcast, including innovative and powerful tools for logo detection, ad monitoring and speech-to-text. 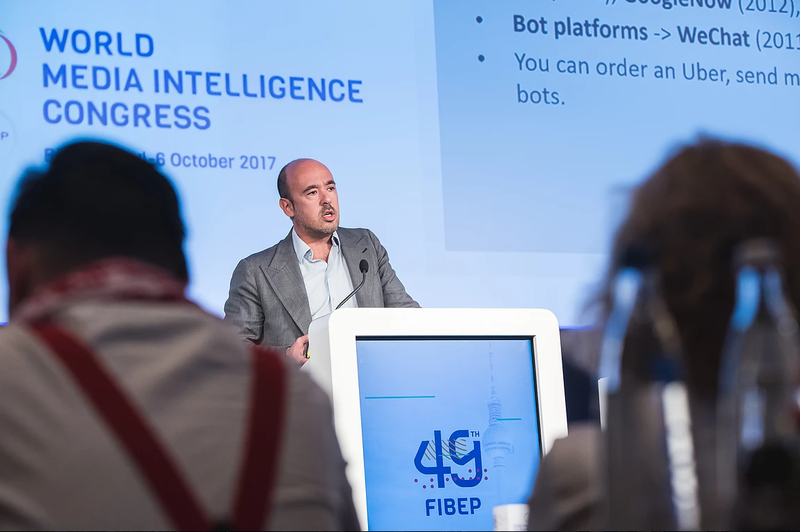 The FIBEP World Media Intelligence Congress has become one of the largest events for communications and marketing professionals to meet and share their knowledge and experience on the latest developments in 360-degree monitoring, on- and offline, and learn about the future of media intelligence and reputation management. 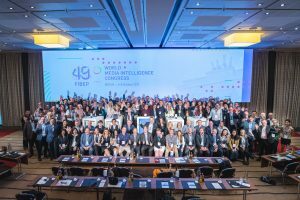 FIBEP is the world’s media intelligence association with over 120 corporate members in over 60 countries. 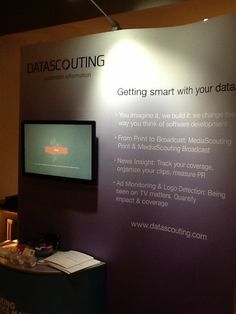 The association and its members are focused on providing globally-driven, enterprise-scale solutions in the fields of PR distribution, journalist database, media monitoring, media analysis, as well as consulting services and SaaS platforms.